Being true to its meaning, "dayaw", coined from the famous annual festival in Davao City, Kadayawan, Globe Telecom aims to give the people of Davao a "valuable, beautiful, and superior" experience as it rolls its Mobility Store-On-the-Go. Aside from that, Globe brings a bunch of exclusive offers and fun activities beginning Aug 14 till the 17th at the Davao Convention and Trade Center. Globe Mobility Store-On-the-Go is a fully-functioning, one-stop hop telecom store that gives instant processing of new postpaid, and broadband plan applications. It will also assist customers with their inquiries and let them enjoy the wonderful products and services of Globe as if it is a real store. 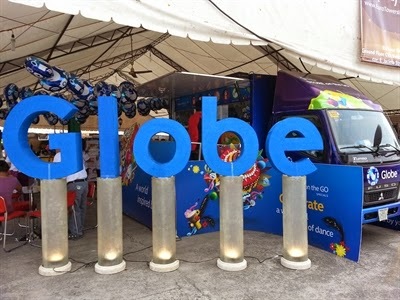 The Globe Mobility Store-On-the-Go will be the star of the show during the annual Kadayawan Trade Fair and Bazaar this year. Shoppers and visitors will have free admission to check out more than 200 exhibitors of the said event. They will sure to enjoy lots of interactive games and entertainment from local bands and comedians. Cloudphone will also feature their latest devices and host an on-site sale. Meanwhile, Globe Stores are not to be outsmarted as they will also offer Kadayawan exclusive promotion for both prepaid and postpaid subscribers in various branches such as Abreeza, Lanang, Ecoland, Allphones, NCCC and Gaisano. Globe currently operates 130 concept stores in many parts of the Philippines with the Mobility Store-On-the-Go, which started a year ago. It aims to serve customers in far-flung locations having no access to conventional Globe stores.